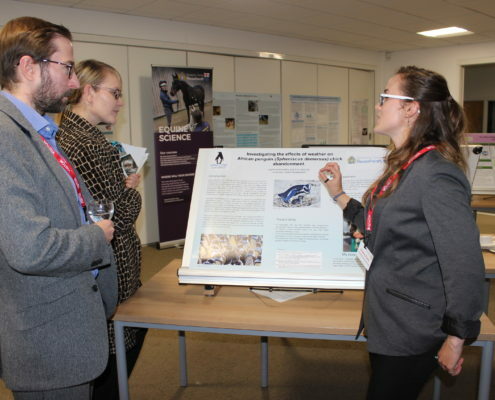 Back in November, the Lisden Technology team visited Reaseheath College for the first Innovation, Research and Development showcase (link to official article, below). We hoped to learn more about the College and what its students are doing and maybe make some useful connections for the future. And we did - we heard some interesting presentations and spoke with some key people. But what we enjoyed most about the event was the interaction with the students. The students' passion about their specialist areas of knowledge and own research was immediately evident. But so too was the enthusiasm and insight that the students showed in relation to our work around animal-tracking and sensor technologies. The students' immediate engagement in thinking about ways in which our technologies could be applied and developed was inspiring. As a team, we went away with a renewed appreciation of how important it is to get out there and be exposed to new fields, new opinions and new ideas. We aim to carry this message into 2018 by looking out for opportunities for conversation and collaboration.